Drones have been around for a very long time, they are found in the airspace in the USA and other places around the world such as Japan. They seem to be more popular now than ever before. They are used for commercial needs, personal needs, and even by the military. 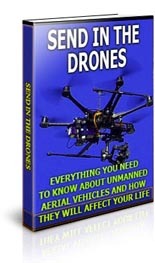 This 45 page PDF ebook comes with Master Resell Rights.